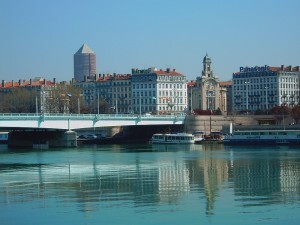 Lyon is often overlooked by tourists who flock to the much more famous attractions and in-your-face charm of Paris, and this is why many people miss out on some of the best experiences you can have in France. Lyon is smaller than the capital, that’s true, but it is also less crowded, has less tourist traps and is generally more concerned with pleasing itself than pleasing visitors. The riveting old town of Lyon is a treasure trove of historical and cultural attractions, and the city on the whole is nothing less than a shopper’s and a foodie’s paradise. So dig into Lyon’s restaurants, both Michelin starred and regular and delight your palate with amazing combinations of aromas. Here are some of the most glamorous restaurants in Lyon. La Tassée might have been your run of the mill bistro in the past, but its current chef, Jean-Paul Borgeot has turned it into something extraordinary. The menu is eclectic and caters to tastes of both lovers of lyonnaise cuisine and of more unusual dishes. The elegant atmosphere with frescoes on the wall and old photographs each and everywhere will transport you into a past when glamour was de l’ordre du jour. Le Gourmet de Sèze is one of the best known dining places in Lyon, and locals and visitors alike flock in great numbers every day to taste the magnificent creations of chef Bernard Mariller. The elegant but not excessively opulent decor is the perfect setting to enjoy the house’s signature dish, Shellfish St Jacques with broccoli and truffle sauce. The name of Christian Têtedoie is well known to cuisine-savvy French – after all, he was named ‘master chef of 1998’. His restaurant combines the things that made Christian Têtedoie famous: innovative dishes that are very light, but endowed with strong and exquisite flavors, usually accompanied by vintage wines. If the weather is nice, L’Auberge de Fond Rose’s beautiful garden is the perfect place for lunch or dinner, but the beautifully decorated interior is just as pleasant. Every dish is cooked to perfection, from the wonderfully juicy and flavorful coquilles St Jacques to the simply amazing raviolis with beef and foie gras and veal sweetbread with tomatoes and eggplant. Although Les Terrasses is located in a former convent, gluttony is definitely one of the mortal sins that every guest there is guilty for. And how can one not feel tempted when confronted with chef Davy Tissot’s dishes. “Suprême de pigeon rosé” served on a bed of tube pasta filled with a purée of truffles, Challans duck on celery gratin or vegetable terrine on coriander jelly are only a few of the delights of Les Terrasses. And with a view like that of Les Terrasses, it’s no wonder it’s one of the most glamorous restaurants in Lyon.